All kinds of cosmetic cases, jewelry organizers, and padded pouches exist to keep ALL your accessories organized in your carry-on. Small things are prone to getting lost, and tech gadgets can be easily bumped and scratched during your journey, so keep them organized in their own containers. If it’s not always in your purse, then your camera, tablet, or [insert your favorite tech item here] should have a designated home while you’re traveling. When it comes to makeup, it’s easy to take more than you need. It’s also easy to forget to separate your liquids for security screening. (Oops!) Narrow it down to your essentials, and don’t forget to pack your liquid makeup in your one-quart Ziplock for the TSA line. And if you’ve got room in your toiletry organizer, you don’t even need one of these! Just put your makeup in its own Ziplock bag. If your jewelry won’t fare well in a handy Ziplock, invest in a travel-appropriate jewelry box. This will keep everything together and easy to access. Plus, you can use these for storage at home, too. You don’t want your camera banging up against anything else in your bag. A home with some padding will prevent you from worrying too much about your pricey gadgets. Choose a size that’s appropriate for the tech items you can’t travel without. 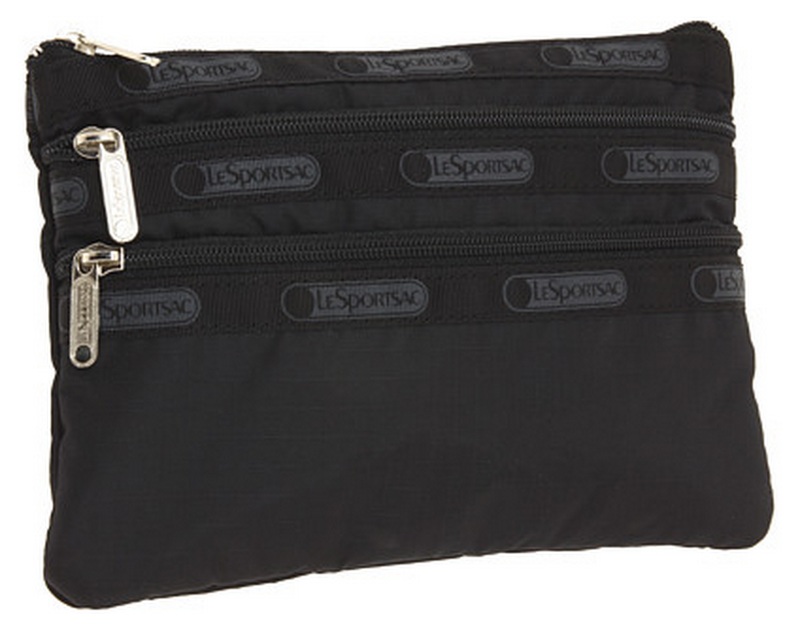 This cosmetic case is just the right size for carry-on travel, and it has multiple sections for optimal organization. Snaz up your suitcase and get this one in black patent. When you’re traveling a lot, you grow weary of the Ziploc solution. 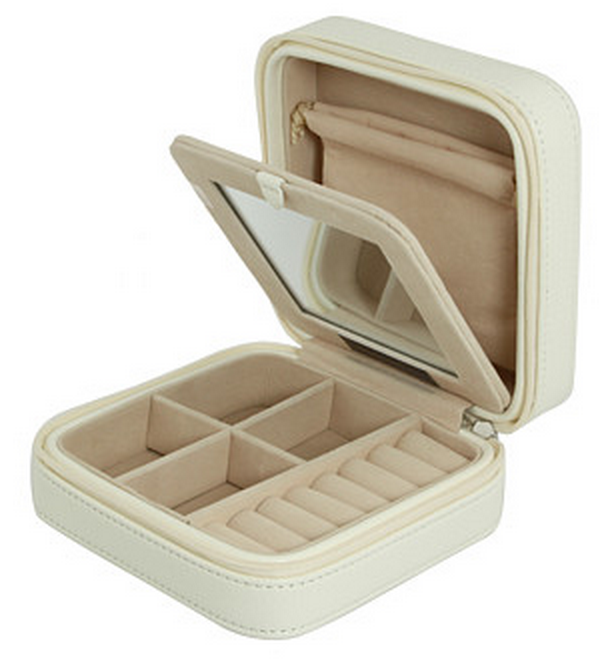 If you want something fancier and easier to re-seal, we’re fans of the Mele Travel Square Jewelry Box. The zipper closure is a big plus! This one wasn’t a tough decision. 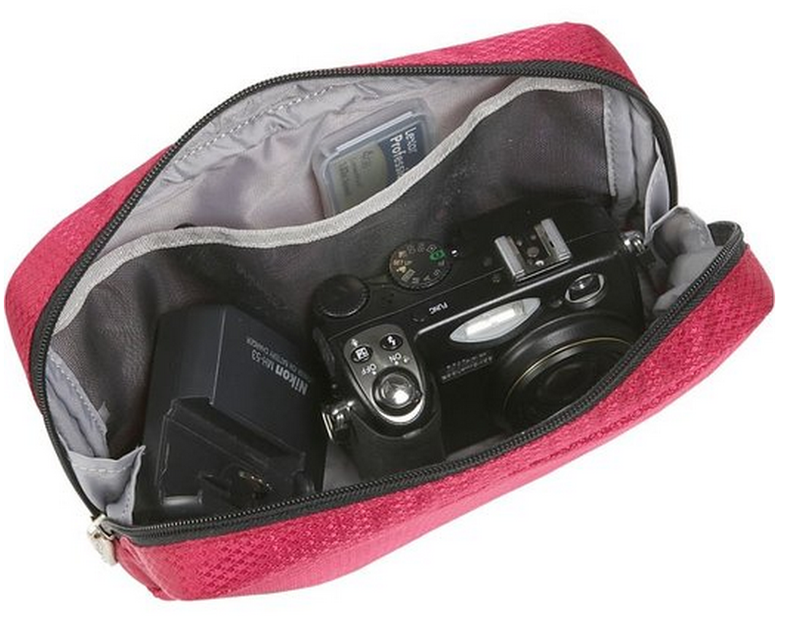 eBags packing products are well-reviewed in general, and their padded pouches are no exception. A 3-piece multi-size pack is only $20, so if you’re packing tech gear in a variety of sizes, this is a good way to go. Congratulations! You’ve Organized Your Carry-On! 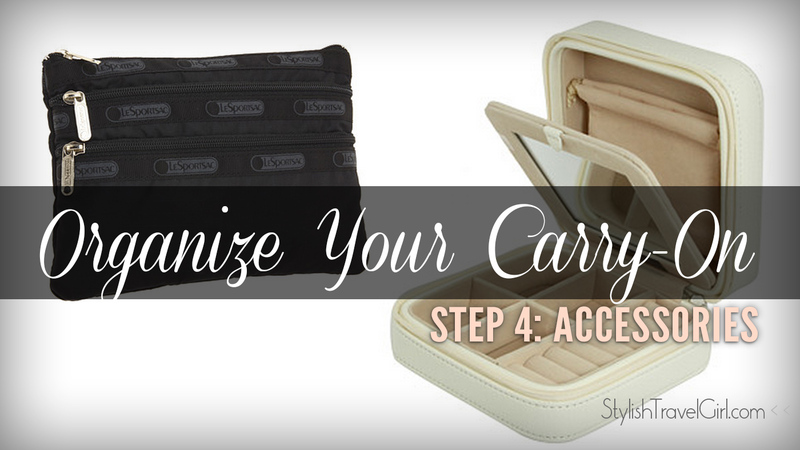 Take me back to Intro to Packing Containers: Organize Your Carry-On in 4 Steps! 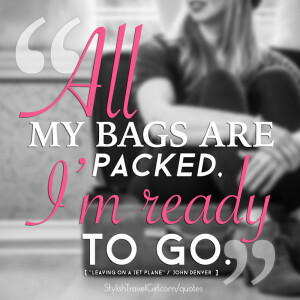 Want more packing advice, just like this? Sign up for fashionable travel tips, direct to your inbox! 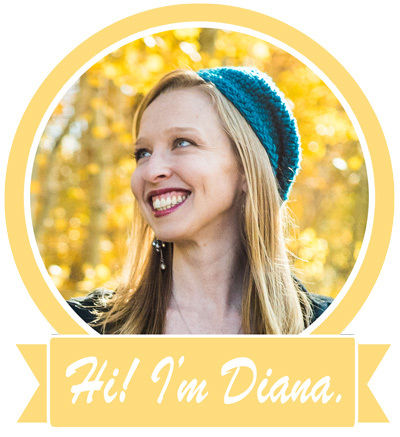 Get updates from our website & community, on average just once per month. 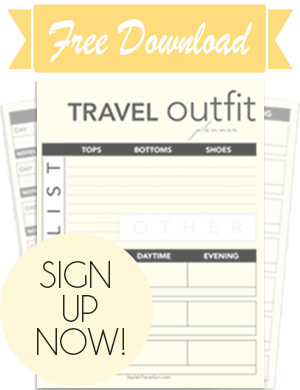 Plus, as our way of saying thanks, you'll get instant access to download our free TRAVEL OUTFIT PLANNER.